People of all ages and wealth levels may benefit from estate planning. Planning involves anticipating as many possible scenarios for the future as possible. Even college age children may need minor estate planning documents such as a medical durable power of attorney, allowing their parents access to medical records, and appointing someone to make medical decisions, if the patient is not able to do so. Medical Durable Powers of Attorney are valuable for all ages, because they allow a person to state their intentions and desires in advance, if they should suffer some catastrophic injury or disease, but they also appoint some one to make medical decisions in the event the patient is not able to. Durable Powers of Attorney for financial affairs are also useful tools, allowing people to appoint a representative who can sign legal documents or perform legal acts for them in the event they are out of town, out of the country or otherwise indisposed. Of course, Durable Powers of Attorney for financial affairs are also helpful if an individual becomes disabled or incapacitated for some reason. Powers of Attorney can either immediately grant authority to the attorney-in-fact, or the authority of the designated person can be “springing”, meaning that the attorney-in-fact does not have any authority until a stated event occurs. Powers of Attorney are extremely important for the elderly, such that, if a parent should suffer a stroke, Alzheimer’s disease, dementia, require surgery or extended hospital stay, a child can manage their financial affairs, until they recover or until their death. 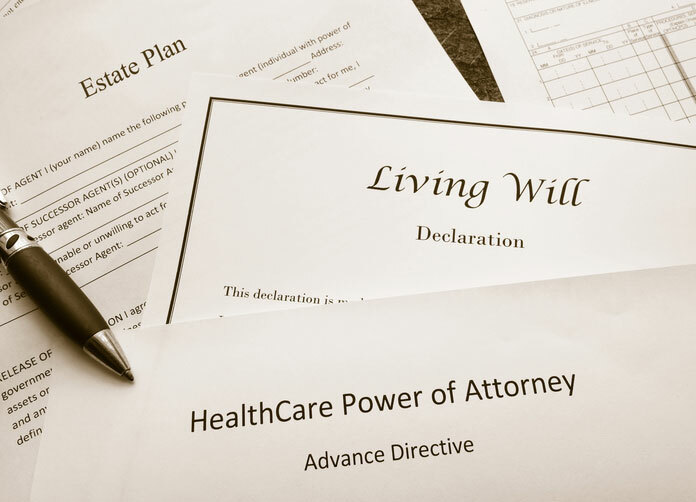 Powers of Attorney by law expire upon the grantor’s death. It is imperative for elderly people to have a Power of Attorney, assuming they have someone trustworthy to rely upon, because of their susceptibility to strokes, dementia and other medical problems. Often people wait until after a parent’s health diminishes in order to explore estate planning, but if the person has had a stroke or has Alzheimer’s disease, they may become incompetent to execute an estate plan or power of attorney. People with children will generally want to have a Will, because aside from the obvious reasons, a Will allows parents to state their preference for the children’s guardian in the event of the parent’s death. Wills can also be instrumental in simplifying the probate process for ones heirs, even if the testator plans for his property to be left to his legal heirs. Wills should be drafted by an attorney, despite the forms available online, because each state has different laws, and even the proper execution of a will is highly technical in order to comply with the requirements of a self-proving will in the Probate Court. In Missouri, even if a decedent has a Will, contrary to common opinion, generally their estate will pass through the probate court. While the probate court does involve some costs and expenses of publication, and usually attorney fees to administer the estate, perhaps the biggest difficulty or inconvenience of probate court is that the assets cannot be distributed to heirs in less than seven (7) months from the date of first publication of the issuance of letters testamentary.